Just like the MP3 file format, M4A is an audio-only file format. However, when compared to the MP3 format, it has benefits. The M4R format is both smaller and has better quality. Maybe you have a song in M4A format that you would like to make your custom ringtone from. The file has to be converted to the M4R format. Although the M4A is great for enjoyment, it is not suitable for use as a ringtone. Apple supports the M4R on its devices as the ringtone format. In this article, we will help you convert M4A to M4R. 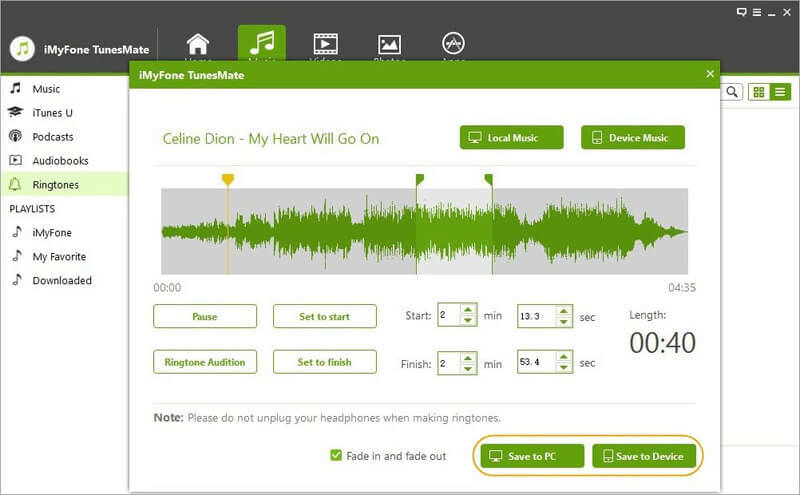 When creating a custom ringtone, it gives the user full control over the start and stop time. 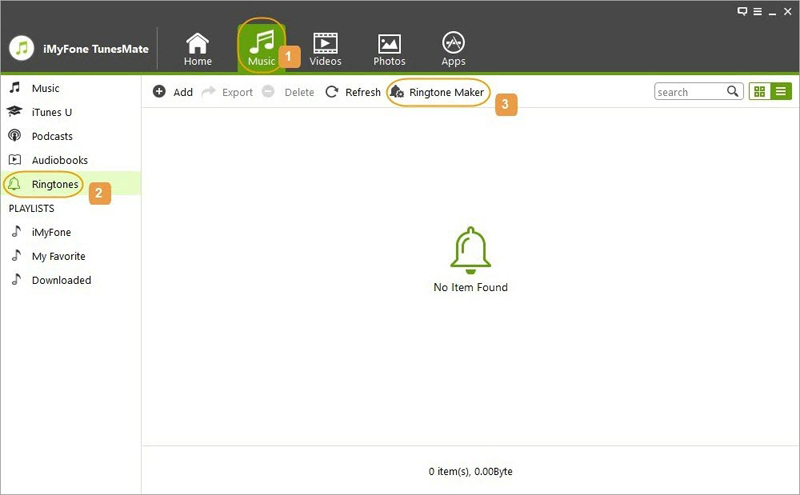 You can use the M4A files you have on both your iPhone and computer to create your ringtone. After creating the ringtone, it allows you to save the ringtone directly to your iPhone. It supports numerous files for conversion to M4R. Other supported files include MP3, WMA, OGG, AAC, etc. You can also transfer already-made ringtones to iPhone without data loss. Step 1: Use a USB cable to connect your iPhone to the computer and launch TunesMate. Step 2: On TunesMate, tap the Music tab and then choose Ringtones on the sidebar. Tap Ringtone Maker on the top bar. Step 3: Choose an M4A file from either your device or your computer. 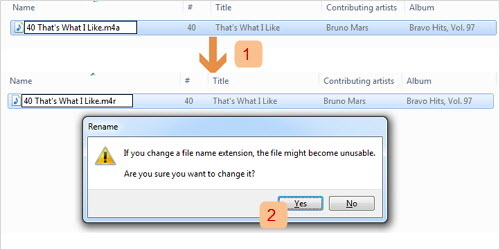 Tap Local Music to choose the file from the computer. Tap Device Music to choose the file from your iPhone. Step 4: After choosing the file, Ringtone Maker will play it automatically, control the playback using the Play/Pause buttons. Set the Start and Finish time by either using the light-grey area to manually pick your favorite part or by using the Set to Start/Finish buttons. Step 5: Use the Ringtone Audition button to confirm that your ringtone is perfect. Now, you can save the converted M4R file to your iPhone directly by clicking Save to Device. Support to manage or transfer music, playlists, movies, audiobooks, podcasts, ringtones, TV shows, etc. Freely transfer files between iPhone and computer, or iPhone and iTunes. Sync iTunes library to iPhone without damaging existing data. Enrich your iTunes library from unlimited iOS devices, even in different Apple account. 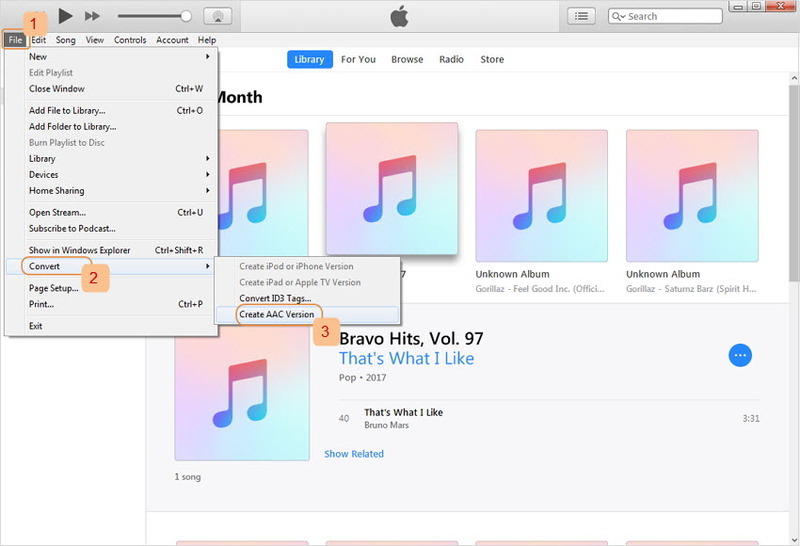 Step 1: After launching your iTunes, you will need to import the M4A file you want to convert to M4R to the iTunes Music library. 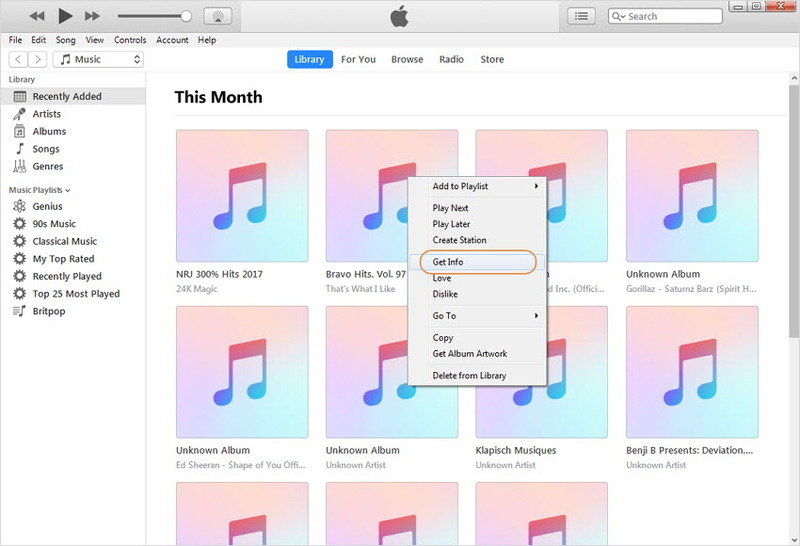 You can directly drag and drop the file to iTunes library or select “File > Add File to Library” on iTunes to manually select the song. Step 2: Right-click the imported file on iTunes library and then select Get/Song Info. STep 3: Tap the Options tab and fill in the Start and Stop Time. The selected audio portion should be approximately 40 seconds if your intention is to create a ringtone. When done, tap OK to confirm. Step 4: Click on your file again and then go to File > Convert > Create AAC Version. 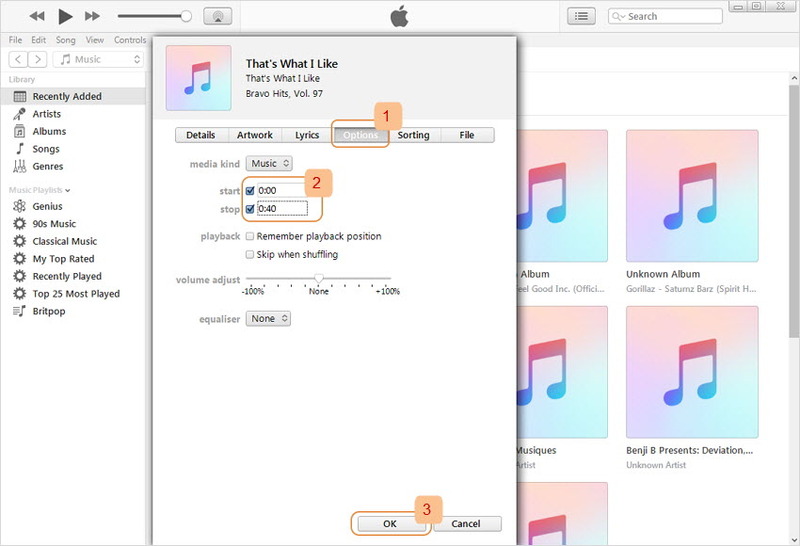 iTunes will create an AAC version using the song portion you selected in step 3. Step 5: Right-Click the new file and choose “Show in Windows Explorer” or “Show in Finder” to locate the file. Change the file extension to .M4R. Step 5: Go to iTunes again and right-click on the AAC file you created in step 4. Choose Delete and then tap Keep File. Next, open the Windows Explorer and double-click on the .M4R file created in step 4. The ringtone will be added to your iTunes Tones library. The method is too complicated. It will waste your time since the conversion features will require more time to learn. When you customize the tone, you can’t listen to the song. That means, you need to play the song and determine the start and finish time before you get started. Unlike TunesMate which supports a wide range of file formats, iTunes supports few file formats. High-quality audio is not guaranteed when the conversion is done using iTunes. iTunes does not allow you to save the M4R file directly to your iPhone. Actually, iTunes can’t transfer the ringtone to iPhone. Step 2: Choose the M4A file that you would like to convert. Step 3: Select M4R as the final format of the converted file. Step 4: Enter the email address where you would like ZAMZAR to send your converted M4R file. Step 5: Tap Convert. You will receive the M4R file by email. Some of the ZAMZAR users have already reported that they can’t convert M4A to M4R using the tool in some cases. The tool needs you to have access to a strong internet connection for it to work. ZAMZAR does not give you control over Start and Stop times. Hence, you cannot create a ringtone using the tool. It doesn’t have an option to save the M4R as your ringtone on iPhone. 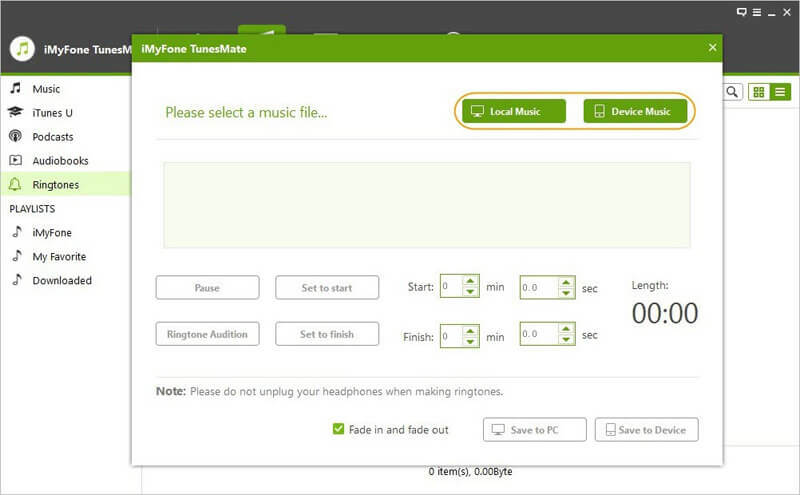 If you are looking forward to enjoying a custom-made ringtone, the best tool to use to convert M4A to M4R is iMyFone TunesMate. If you can’t convert M4R to M4A, you are probably using the wrong tool. Unlike iTunes and online tools like ZAMZAR which have numerous limitations, TunesMate does not have any limitations.